Today’s crypto markets continue to grow at breakneck speeds and regulators are straining to keep up. Whether it is initial coin offerings or cryptocurrencies themselves, there is huge momentum behind them with regulatory headwinds sweeping in. How you navigate both may make a huge difference in the success or failure of an initiative or investment. Let’s take a look at the initial coin offering (ICO) sector, as that space attracted huge investment flows in 2017. Last year, 514 ICOs generated more than $6.8 billion with an average ICO investment of $13.4 million, according to a report from ICOBOX. From January through March 11 this year, 231 ICOs generated $4.94 billion. For anyone in the markets, these numbers are nothing short of astounding. ICOs may be categorized as: equity tokens, security tokens, or utility tokens. And this may help determine whether or not they are actually a security. By definition, equity tokens allow firms to essentially issue stock in a company, bypassing Wall Street. Security tokens are generally speaking, any kind of tradable asset and also are SEC regulated. Utility tokens that provide a good or service are of a different breed in some legal minds, and may fall outside of the security tokens designation. But firms bringing any of the three to market will best be served by following prior SEC rules and current guidance. While ICOs are considered securities, cryptocurrency trading falls under Commodity Futures Trading Commission oversight. Last December, the CFTC proposed that retail cryptocurrency transactions would fall under its oversight as “retail commodity transactions” and the agency’s commissioners have urged crypto exchanges to adopt self-regulatory rules.In recent weeks, both US regulators have issued further warnings about advertising, marketing and trading these investments. It is one thing for Facebook, Google, and possibly Twitter to ban ICO and bitcoin advertising, but it is another for the SEC take a long look at the advertisements or marketing of an ICO. In January, the SEC and CFTC issued a joint statement that should have anyone in this space following the letter of the law when it comes to information and promotion of their ICOs. That statement followed a move by the SEC in December 2017, to freeze an ICO for PlexCorps for promising a 13-fold profit in less than a month. Some further guidance could be taken from the so-called Jobs Act, which included rules for how hedge funds can promote, solicit and advertise their funds for accredited investors – which sets the bar fairly high. No such requirement is listed for ICOs yet, but the general rule applies here: Don’t promise any kind of returns to customers. There is more regulation in the works as well, including a recent House of Representatives bill passed this month that addresses the so-called RegA+, or mini-IPO. This allows firms to raise capital in an IPO or ICO more easily for accredited and non-accredited investors. The bill also allows firms to raise more money using RegA+ designation from a $50 million limit to $75 million. And it features a lighter regulatory touch in terms of disclosures and more flexible marketing to investors. Whether it passes the Senate and is signed by the president is still to be decided. In short, the ICO market continues to show tremendous interest by entrepreneurs and demand by investors. Now regulators are adding more clarity and Congress is offering some new legislation that may provide an alternative. This is the start of a market with much ahead of it. 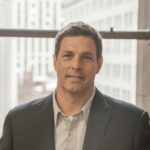 Shane Stiles, President of Gate 39 Media, will discuss the challenges and opportunities of marketing cryptocurrency products at the upcoming CryptoCurrency Forum event on April 18th in New York.